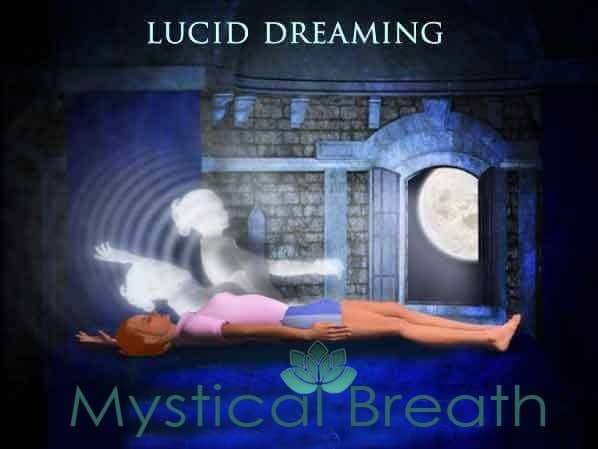 Let’s begin by defining lucid dreaming: Lucid dreaming is dreaming when you are fully aware that the experiences you are undergoing is not occurring in the day to day world of physical reality. How this awareness occurs for the first time is hotly disputed, because it’s a matter that occurs at the interface between consciousness and the netherworld of the great unconscious. In my case I remember distinctly being over taken by a sluggish, grey mound of molten rock; it was white and grey and it followed me as I ran. Something snapped inside me and said (without words), 'this is not real'!!! From there I was able to gradually increase my periods of awareness by a range of techniques, until almost all of my dreaming became a controlled, lucid experience. But it took me years! Of course dream interpretation is a huge subject by itself - we will delve into that matter in future articles. Lucid dreaming is now an important part of my life, as I deliberately explore my subconscious, sometimes in control, and sometimes just monitoring the events and places my mind produces. There’s an important distinction here though between being aware, and actually deciding on the contents of a dream. When we simply watch our dreams, we are letting the brain do its job of integrating our experiences, worries and passions; but when we control the direction and content of a dream, we are actually creating an unnatural state that takes up time and can actually cause us problems. This is because the subconscious really needs to run free and operate naturally, forming our mental backdrop to the world and helping us to cope with day to day life. We should NOT control our every dream even if we could. Bearing that in mind, anything is possible in a directed lucid dream if we are in control, and we can have a lot of fun! The first and foremost requirement is - Get enough sleep! – this cannot be over-stressed. Almost all dream experiences take place during REM sleep, and the longer you sleep, the greater the percentage of time your mind will allocate to REM sleep and dreaming. Ideally as an adult, you will be getting between seven and nine hours of sleep each night – without the distorting effects of alcohol or drugs. If you are battling with insomnia. then try a natural solution. There are many articles on this site covering this matter - I suggest you begin with a basic introduction. Write down your dreams as soon as you wake – keep a pen and paper next to your bed at all times. Ideally, you will keep a special dream diary, dedicated only to recording your dreams and nothing else. Make sure the book is special to you, and has a handsome, beautifully decorated cover that you will remember. You may find this cover design appearing in your dreams quite regularly. This is the tricky bit! It starts by you asking yourself, through the day ‘is this real?’ You need to make a habit of this and do it frequently – every 30 minutes works for me – and more frequently as events occur and you meet people. It must become an almost constant check, as if you were expecting to ‘wake up’ at any moment. What happens after a few weeks of this is that you will find that the check starts to happen in your dreams – and when it does, it will shock you! In fact, you’ll probably wake up immediately. And that's just the start of a wonderful adventure. Once you have the basic reality check working, you can move on to a creative and exciting exploration of your dreams. Whichever technique you use, it is important to stick with it. This is very much like learning basic yoga and body control – those who choose a position and then abandon it, choose another and so on never master the basic techniques.